Your smile is our first priority. However, we understand that to care for your smile best, we need to provide the most comfortable and positive experience possible. Riverheart Family Dentistry takes pride in our ability to accomplish this. To create a truly great dental experience, we combine comfort amenities and a warm office environment with the most advanced dental technology and a gentle and skilled dentist. Whether you are in for a routine cleaning, root canal therapy or dentures, your comfort is just as important to us as achieving your treatment goals. When it comes to a valued family dental practice, the difference is in the details. At Riverheart Family Dentistry, we go above and beyond to keep you relaxed and feeling at ease. In doing so, we offer multiple patient amenities both in our lobby and treatment rooms. You will find a complimentary beverage bar, operatory TVs, a children's play area and other comforts of home when you visit our practice. 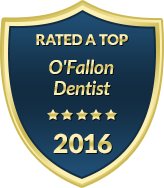 Our staff is friendly, knowledgeable and always approachable if you have an additional need or concern regarding your dental care. Beyond our patient amenities, we also keep our services convenient. To accommodate your scheduling demands and budget needs, our practice offers extended weekday appointments, family block scheduling and a variety of financing options. We realize that every patient has unique smile concerns and specific comfort needs. While a young patient may need a stuffed animal and cartoons to remain relaxed, another patient may need sedation dentistry to feel at ease. You can trust that our office is equipped to meet your comfort demands, regardless of your age or the treatment you are getting. To learn more about our comfort and amenities at Riverheart Family Dentistry, please contact our office today. We do our part to eliminate stress from your dental visit.